It is a wonderful experience for me when I read about this man's extraordinary temperament and his real life struggles. He is not only a reel life hero but a real life hero too. Nawaz has really made himself groomed only with his dedications and hard work. As an actor, he appeared in a lot of Bollywood films like Sarfarosh, Black Friday, New York, Kahani, Peepli Live, Gangs of Washepur Part I and II etc. In each and every role, he proved his abilities and extraordinary acting skills. His early projects were unnoticed and not acclaimed well. But with films like Gangs of Washepur, Talash, Lunch Box gifted him with lots of fame and glory. Now he is been accepted as a polished actor in Bollywood film industry. For his roles in those films, he is honoured with many Awards including , Zee Cine Award for Best Actor in a Supporting Role – Male both for his role as Taimur in Talaash. 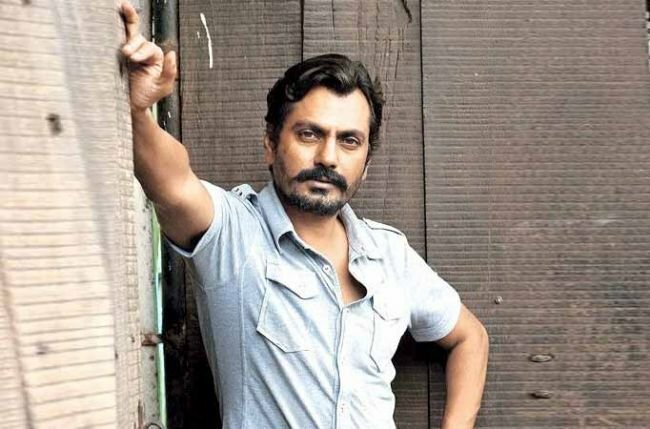 The Answer Lies Within as well as Stardust Award for Best Supporting Actor for his role in Gangs of Wasseypur. Screen Award for Best Supporting Actor for his role in Gangs of Wasseypur. Recently his film, Badlapur has again got a heavy response from the viewers in opposite where he worked with the actors like Varun Dhawan and Huma Qureshi. His forthcoming film is Bajrangi Bhaijaan where he will work with the Bollywood megastar Salman Khan. Nawaz was born on 19-05-1974 in a small village in Uttar Pradesh called Budhana ( Muzaffarnagar ) to a farmer professed Muslim family. He has got seven brothers and two sisters. He completed his schooling from there and later gained his Graduation degree from Haridwar which is presently situated in Uttarakhand. After completing his Graduation degree, he started his professional life as a Chemist and worked with a Petrochemical company for a short span of time. But as he was inclined towards acting, he soon left the company and shifted to Delhi and joined a theatre group called Sakshi Theater to groom his acting skills. But because of livelihood, he was also working as a Watchman along with his theatre classes in Delhi. During this period, he also got the opportunity to work with the fine actors Manoj Bajpai and Saurabh Shukla. Nawaz is married to Anjali and also have a two years daughter named Shora. As per the sources, Nawaz is all set to work in a Hollywood film directed by Garth Davis which is based on the book of writer Saroo Brierley, “ A Long Way Home”. Other actors who are featured in this film are veteran actress Deepti Naval, Tannishtha Chatterjee and Dev Patel. National Film Awards, Zee Cine Awards, Star Dust Awards, GQ Men and Lions Gold Awards.